Hatch Homes provides our Charlotte neighbors with quality exterior replacement services. The services include siding, roofing, windows, gutters, doors and more. James Hardie fiber cement siding has quickly become the most wanted product for exterior remodeling. The product is both engineered for the specific climate you live in but is tougher than the elements. Hatch Homes is honored to be the local James Hardie siding installer in the neighborhood of Chantilly. The company is also a proud member of the Contractor Alliance program through the manufacturer. Every member of the team participates in continuing education classes offered by the manufacturer every year. Vinyl siding may also be on the list of products you are considering for your exterior remodel. Hatch Homes is happy to provide PlyGem Mastic vinyl products. Hatch is a member of both the vinyl siding institute as well as the Mastic elite preferred program too. Whether you choose vinyl or fiber cement, you will know you are in good hands with the installation crew at Hatch. Chantilly is a neighborhood located in Charlotte, North Carolina. The community was created back in 1913, and many homes were constructed in the 1940s. 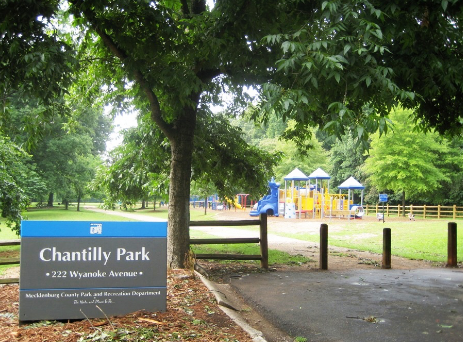 The district has a beautiful park that is 7 acres wide that is even open to the public to enjoy. Locals enjoy being able to walk to both the Elizabeth business district but also the Plaza Midwood. While the houses were built post-WWII, many of the homes have been updated to meet the needs of today’s era. Hatch Homes is the leading expert in both James Hardie siding and Plygem Mastic siding. We understand that not just 1 type of product is for every homeowner. We love playing around with the use of mixed styles and products to create the home of your dreams. Call us today for your non-obligational estimate for your upcoming project. Our company is happy to provide homeowners with a transparent inspection of your roof that is sure to leave your pocketbook with money left in it. We offer many roofing materials from aluminum roofing to asphalt shingle roofs. Fill out one of our online consultation forms today and a member of our team would be happy to come out and inspect your roof for you.